300 very excited Rainbows from Rochdale, Heywood, Bury and Oldham all gathered for a Christmas celebration at Gulliver’s World. Aptly named ‘Rainbows Christmas Cracker’; this event brought together all Rainbows from Girlguiding Lancashire South East County for a day of festive fun and adventure. 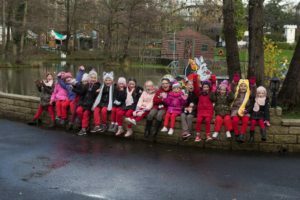 Taking on all types of weather, Rainbows received full access to the Gulliver’s World Theme Park. From the high-flying rides to the slow and steady, Gulliver’s World found themselves in a sea of red uniforms and Christmas hats as the festive spirit grew. 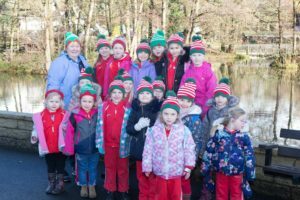 This event was not only for Christmas, this was also a birthday celebration for Rainbows, the youngest group of Girlguiding. 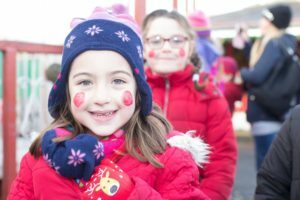 The 5 – 7 year old age range, founded as Rainbows, celebrate their 30th birthday this year with a variety of activities happening throughout the country.